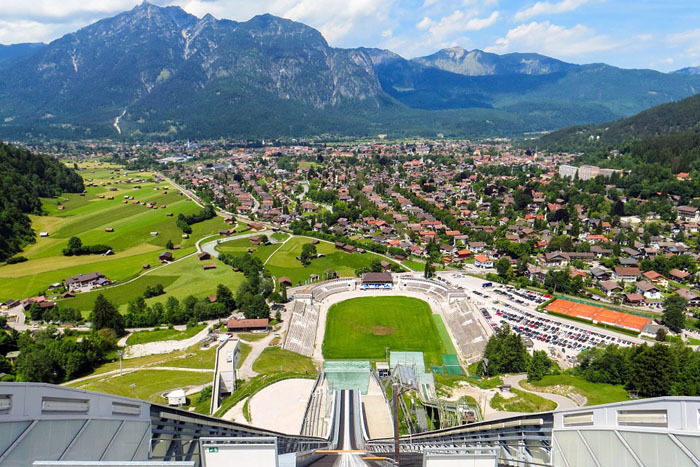 The Winter Olympic Games were held in Garmisch-Partenkirchen, Germany, in 1936, between Feb 6-16. 28 Nations with 668 participants competed in 17 events. Alpine skiing events were held for the first time at the Winter Olympics, but ski instructors were barred as they were classified as being professionals. This led to an Austrian and Swiss boycott, and to the decision not to have skiing events in the 1940 Games. Canada finally lost their first ice hockey match at these Games, with Great Britain winning the gold medal (though note that almost all of the British players lived in Canada).